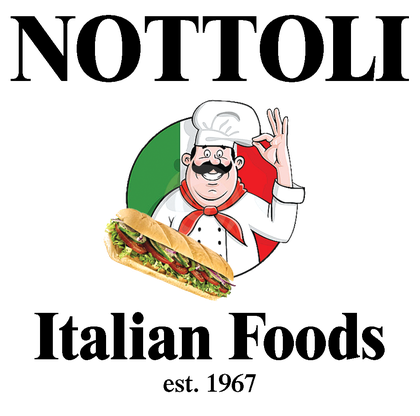 Nottoli Italian Foods You know us, we know subs! 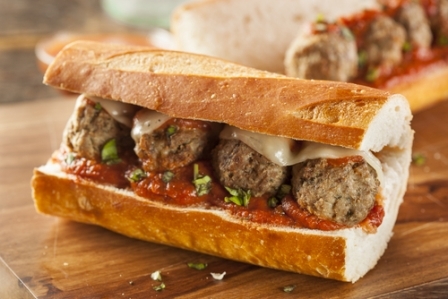 Nottoli Italian Foods is a second-generation, family-owned and operated delicatessen that has been offering award-winning sausage and meatballs, hot sandwiches, specialty subs, catering platters, salads, and tiramisu since 1967. More than 47 years after our founding, members of our family continue to prepare sausage, meatballs, Italian beef, ravioli, lasagna, mostaccioli, and marinara sauce every day! Within a few months of opening our old Harlem and Foster location, our deli became a celebrated community establishment, offering a butcher, full deli, produce, and grocery items. At this location, we began our tradition of making sausage and carrying an excellent selection of fine, cured meats. This quickly earned us a reputation as the best local source for traditional Italian food. 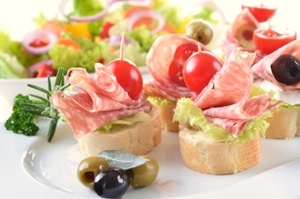 In addition to our made-to-order deli services, we also prepare catering platters for events of all sizes. You can order large and small trays of our classic hot entrées as well as eggplant and chicken parmesan, stuffed peppers, and bow tie pasta. Stop in for lunch any day of the week to try one of our daily specials like the Spicy Sicilian Panini, Meatball Sandwich, or the Beef and Sausage Combo. 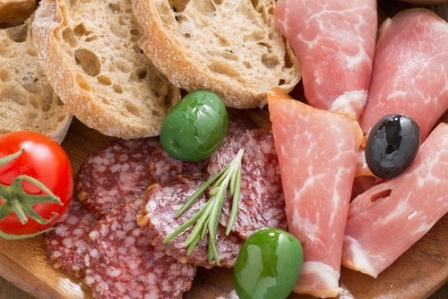 While you wait for your food, please peruse our selection of imported prosciutto, pancetta, salami, grating cheeses, ricotta, mozzarella, extra virgin olive oil, balsamic vinegar, fresh garlic, Arborio rice, artichokes, anchovies, and more! with Mozzarella and Marinara Sauce today! Once you have everything you need for an unforgettable meal, don’t leave without picking up a tiramisu or cannoli for everyone to enjoy after dinner! Let Nottoli Italian Foods cater your next event with platters of home-style meatballs, sausage, lasagna, baked shells, salads, and more for birthday parties, receptions, reunions, rehearsals, or any kind of celebration! 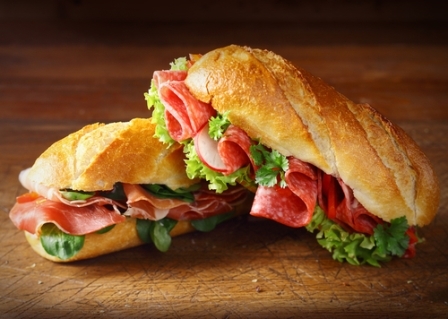 Our sub selections include the Italian, Proscuitto, American, Cold Roast Beef, Turkey, Tuna, and Vegetarian. Garnish your sub with some savory toppings like giardiniera, pesto, and roasted red peppers! 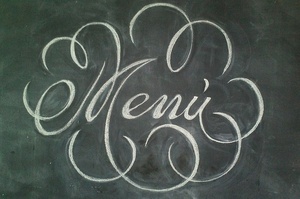 Check out our full menu today! 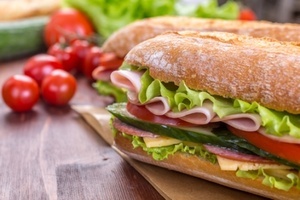 We have a great selection of delicious hot sandwiches like the Meatball, Italian Beef, Italian Sausage, Combo, Eggplant Parmesan, Turkey Artichoke Panini, Spicy Italian Panini, Prosciutto w/ Fresh Mozzarella and more!